You want a card that earns rewards you can actually use, earns them at a high rate and has features that make traveling easier. A good travel credit card helps you earn free trips, comes to your aid in travel-related emergencies and doesn’t charge you extra fees for using it overseas. If you know what to look for, you can more easily find the travel credit card that best suits your lifestyle. When looking at travel cards, your first big decision will be between a co-branded card and a general travel card. Co-branded cards bear the name of an airline or hotel chain. Rewards on these cards can usually be redeemed only with that airline or hotel. This limits your options, but these cards also give you exclusive perks such as free checked bags and priority boarding for airlines, or free upgrades and bonus amenities at hotels. General travel cards earn rewards that you can use for any travel expense, either by using your points to book travel directly or by redeeming points for a credit on your account. 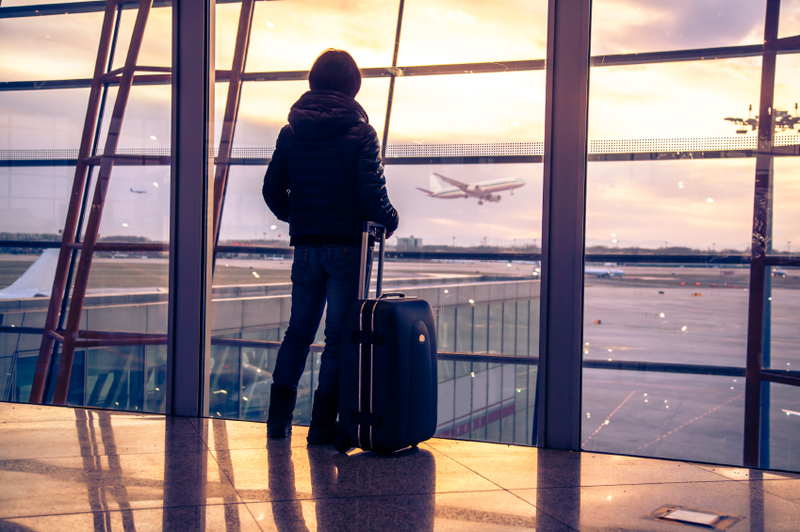 If you regularly travel on a single airline or stay with a single hotel group, a co-branded card is a smart way to get more of your costs covered. If not, a general travel card will give you much more flexibility. A good travel credit card will offer rewards equal to 1.5% to 2% of your spending. For cards with larger annual fees, the rewards rates can get even higher. Look at sign-up bonuses, too. This is a windfall of points you can earn by putting a certain amount in purchases on the card in the first few months you have it — say, $2,000 worth of spending within 90 days of account opening. A good sign-up bonus could translate into a free round-trip flight. In general, the higher the annual fee, the higher the sign-up bonus should be. What to look for in a travel card: When evaluating cards, look at both how they earn rewards and how you can redeem those rewards. Some cards offer higher rewards on travel spending and a lower base rate (usually 1%) on everything else. Other cards pay the same rate on all spending. Look for at least 2% rewards on a card with an annual fee and 1.5% on a no-fee card. As a general rule, avoid cards that give you less than 1 cent per point or mile when you redeem. Check out our rewards program reviews for our current estimate of average point values. Sign-up bonuses aren’t quite as important as ongoing rewards — especially if you plan on keeping your card long term — but they are a fantastic perk. Compare our top credit card sign-up bonuses. But before you sign up, ensure that you can reasonably cover the spending required to earn the bonus. There’s no sense in getting into heavy debt just to earn a bonus. Some credit card perks and protections come in especially handy as you travel. For example, some credit card issuers and networks offer rental car coverage, lost luggage insurance, travel delay and accident insurance, concierge services and emergency assistance. Many cards — especially co-branded airline and hotel cards — offer perks such as free checked bags, priority boarding, discounts, upgrades and various travel credits. What to look for in a travel card: Decide which perks and protections are must-haves for you and ensure the card you choose has these features. For instance, if you regularly check bags with expensive items, you may want lost baggage protection. If you rent cars frequently, you’ll want a card with good rental car coverage. For these protections and more, check out these top credit cards for travel protection. Those who want perks and frequently fly on a specific airline may look into a co-branded travel card. However, you should know that co-branded cards typically earn less on non-travel purchases than general travel credit cards. So if you fly with your favorite airline carrier on a semi-regular basis, limit yourself to just one co-branded card. Some cards aren’t accepted as widely overseas as they are in the U.S. The payment network, rather than the card issuer, determines acceptance. Visa or Mastercard are accepted just about everywhere. For American Express and Discover, it’s much more hit or miss. Many cards charge extra fees on purchases outside the U.S. These foreign transaction fees typically run to about 3% of every purchase. What to look for in a travel card: If you plan to travel overseas in the foreseeable future, you’ll want to bring along at least one card that’s widely accepted. Even if an AmEx is your primary card, take a Visa or Mastercard as a backup. And if you ever travel internationally, you should have a card that doesn’t charge you for the privilege. Here are our top cards without foreign transaction fees.